Benjamin Franklin was a man of many talents: scientist, inventor, diplomat, writer, sage, musician, postmaster, founding father, and fitness guru. That's right, a fitness guru. Wiser than Dr. Oz, less annoying than Richard Simmons, and long-lived like Jack Lalanne, Benjamin Franklin was touting proper diet and advocating exercise over two centuries before the United States Department of Agriculture constructed their food pyramid. But wait, you might be thinking, wasn't Benjamin Franklin portly and plump, a pudgy and wise old owl? Not true! Sure, Mr. Franklin may have let himself go (just a tad) in his seventies, when he was living in Paris, eating rich food, and fraternizing with elderly ladies, but for most of his life, Franklin was a physical specimen. Biographer Walter Isaacson described him as muscular, barrel-chested, and almost six feet tall. Franklin's fascination with fitness began at the young age of seventeen. Working as a typesetter in London, he garnered respectable physical prowess by running up and down stairs with heavy trays of lead type. Often, he would carry two trays instead of one, a feat which wowed his colleagues. At the same time, he eschewed drinking alcohol, choosing water instead, and convinced his co-workers to do the same. Franklin is the only founding father in the Swimming Hall of Fame. 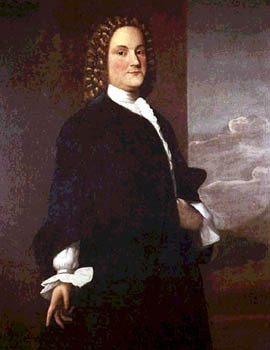 Franklin later returned to the colonies and, in 1733, began to publish the famous Poor Richard's Almanac in Philadelphia. In it, he frequently proffered advice on diet and health. "Early to bed and early to rise, makes a man healthy, wealthy, and wise," he coined. "Eat to live; live not to eat," "A full belly makes a bad brain," and "To lengthen thy life, lessen thy meals," he also quipped. In terms of diet, Franklin practiced mindful observation. Pay attention to your weight and heed what you eat, he suggested. Be abstemious and utilize self-control. If you find yourself rotund, eat less. If you find yourself too thin, eat more. If you find yourself in good health, eat the same amount. His approach was simple and scientific, emphasizing self-experimentation. Franklin continued to be a religious exerciser throughout his life. He especially enjoyed swimming, walking, and leaping. When old age restricted his activity choices, he would focus on lifting and swinging weights. "No gains without pains," he'd say when hobbling from muscle soreness the following day. Franklin's moderate, balanced lifestyle led to a long life of 84 years, about 30-40 years above the average estimated lifespan of the time! It may have worked for him, but could it work for modern-day Americans? Benjamin Franklin never had to contend with harbingers of obesity like fast-food, flat-screen TVs, and computers, but the universal principles of his lifestyle -- balance, mindfulness, and moderation -- still apply today. One only requires the constitution to use them.